Rasmus Gautsen Hagland establishes himself as shipowner and shipbroker. Hagland originated in 1872, when Rasmus Gautsen Hagland (1841-1927) entered the shipping business. As no registration were required for running a business until 1874, it is not known which came first, the shipowner or the shipbroker, but it is clear that some of Hagland’s first investments were in the brigantine “Vingolf” and the galleon “Snæfrid”, both in 1872. The first office of R.G. 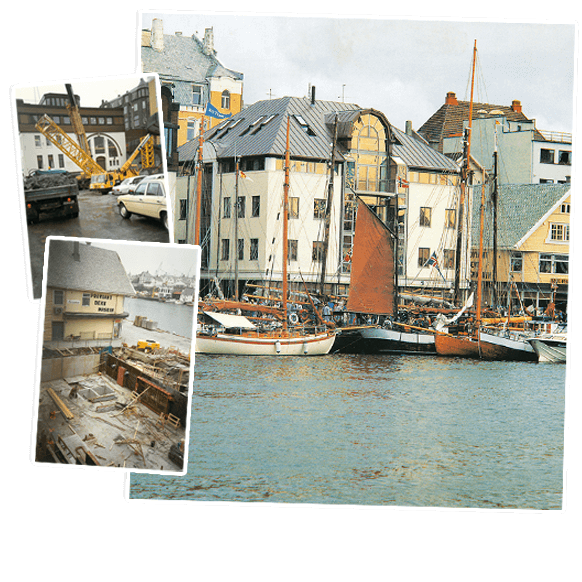 Hagland was located in two boathouses along Smedasundet in Haugesund, and the company’s various locations have been in the same vicinity ever since. As was common at the time, the house was also Hagland’s home. ship and leads to financial difficulties. During the 1870s and into the 1880s, Hagland grew to become one of the larger shipowners in Haugesund. But in 1884, disaster struck at Iceland. Following a poor herring fishing season, some 50 ships were lying in Øyfjord in Iceland when a hurricane hit on 11 September, 1884. 18 ships were thrown ashore, and 16 of these were destroyed. 12 of the 16 had Haugesund as its home port. Among the ships there, and the largest, was the brig “Norden”, owned by Hagland. The loss was a severe setback to Hagland, who even had to sell his family farm north of Haugesund, which he had inherited. Hagland did not give up, however and would soon be back in business. He also got involved in politics, and became mayor of Haugesund in 1904. Arne Wendelbo Aanensen becomes Hagland's business partner. 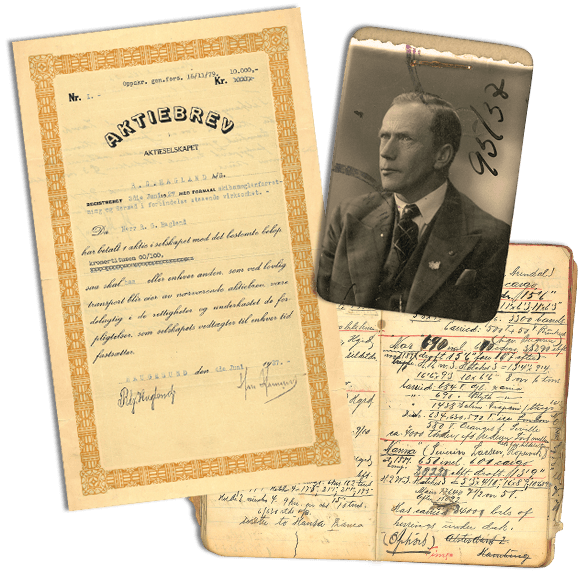 In 1911, Arne Wendelbo Aanensen (1889-1979) became Hagland’s business partner, and would later take over the company. 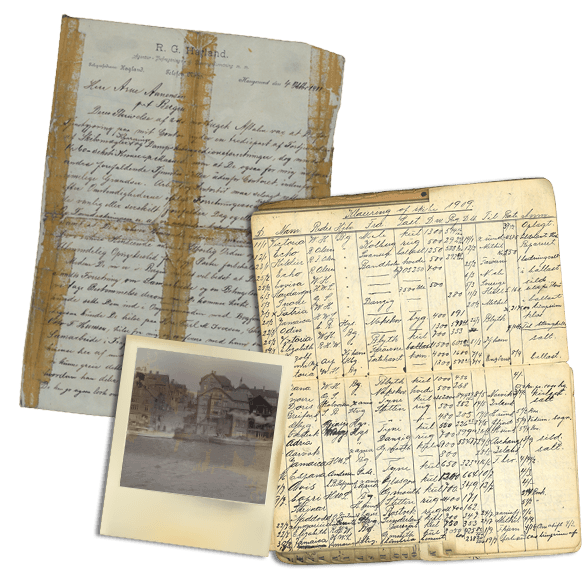 On 4 October, Hagland wrote a letter to Aanensen, who was living in Bergen at the time, outlining what they had agreed in terms of responsibilities, tasks, and earnings. It is perhaps interesting to note that the contents of the letter was only briefly focused on the terms of the agreement, and focusing more on Hagland’s expectations concerning flexibility towards clients and business manners. 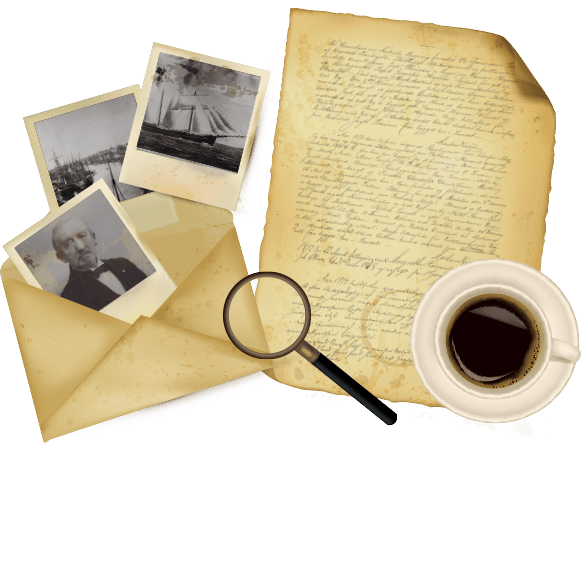 Furthermore, the last half of the letter focused entirely on the business opportunities for Aanensen to pursue while in Bergen. Arne Wendelbo Aanensen was born in Visnes on Karmøy outside Haugesund, were his father Dagfin worked as a teacher when Visnes was the site of one of the most active Norwegian copper mines. when Rasmus G. Hagland passes away. On 23 May, 1927, Rasmus Gautsen Hagland and Arne Wendelbo Aanensen converted their partnership into a limited liability company (“AS”). Out of the 10 shares issued, Rasmus G. Hagland received five shares, with the remaining to Arne W. Aanensen receiving four shares for himself and one share for his 10-year old son, Øivind W. Aanensen. The articles of association stated that existing shareholders would have first right of refusal over the company’s shares. 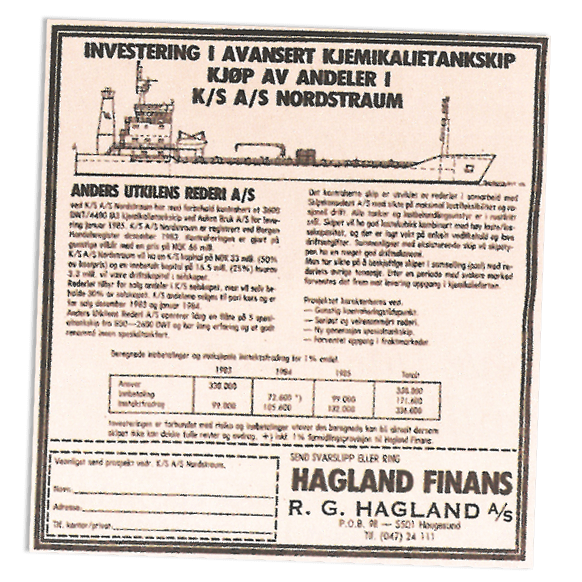 It was also stated that Hagland would be chairman of the board, and that Arne W. Aanensen should receive 10 per cent of net profits before the remaining would be distributed evenly among the shareholders – but only after necessary provisions had been made. Rasmus Gautsen Hagland passed away only weeks later, and his shares were taken over by the Aanensen family as agreed. Today, the shares are owned by Arne W. Aanensen senior’s grandsons, brothers Arne (born 1949) and Knut W. Aanensen (born 1950). 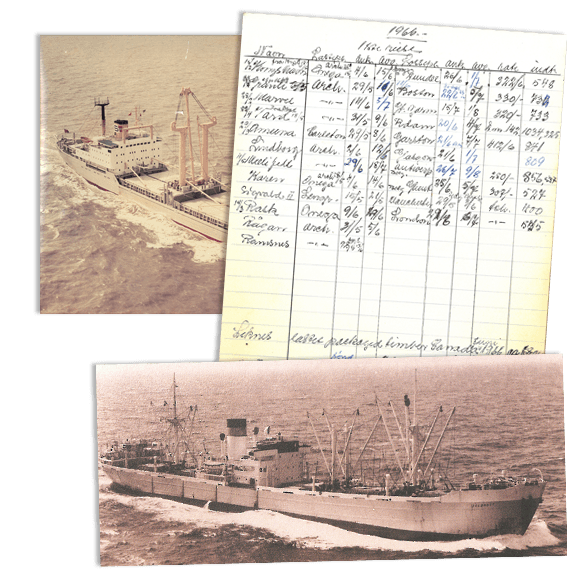 There were not much business for shipbrokers during World War II, but still some activity in the offices of R.G. Hagland. After the war had started in Europe, there was less activity for R.G. Hagland, which would turn to no activity when Norway was invaded in early April 1940. Not long after the invasion, the Norwegian government, while exiled in London, requisitioned the Norwegian merchant fleet and set up the Norwegian Shipping and Trade Mission (Nortraship). The 1930’s had been a growth period for Norwegian owners, in contrast to other major shipping nations, making Norway the fourth-largest shipping nation by the end of 1938 with some 7% of world tonnage and a comparatively young fleet. But there were other important tasks to be done at the offices of Hagland during the war. 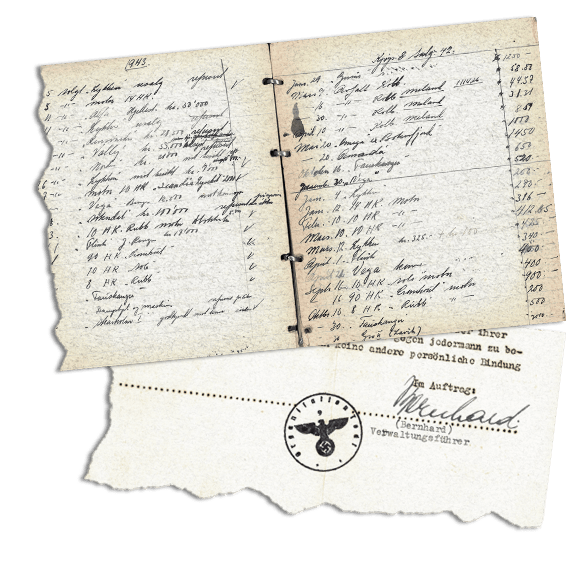 Øivind W. Aanensen was himself a member of the resistance movement Milorg, and together with friend and shipbroker colleague Jan Eriksen, printed illegal newspapers on Sundays, without telling anyone else and even using gloves to avoid fingerprints. When peace comes in 1945, activity soon picks up as Europe needs to be rebuilt. When peace came in 1945, activity soon picked up as Europe needed to be rebuilt. A lot of the sale and purchase activity immediately after the war was due to conversions of various types of vessels. Norway bought among other things 60 minesweepers from the British navy, and R.G. Hagland was involved as broker. The minesweepers were converted to be used for various more peaceful purposes, some being used as ferries and fishing vessels. The price of a minesweeper was typically around 60,000 Norwegian kroner. One Haugesund buyer, however, acquired a vessel for 30,000 kroner and paid in cash – using coins. The next generation expands the business, focusing on sale and purchase deals and newbuilding orders. The high level of sale and purchase activity and newbuilding orders after the war laid the foundation for the next generation to expand the business. Øivind W. Aanensen had become a shareholder already at the age of 10, and started working as an assistant at R.G. Hagland seven years later, in 1934. In 1937 he worked for a while at shipbrokers Lambert Brothers in Newcastle, and later for Howard Houlder in London. In the post-war years, he would become responsible for sale and purchase as well as newbuilding orders, while his father Arne W. Aanensen handled chartering. 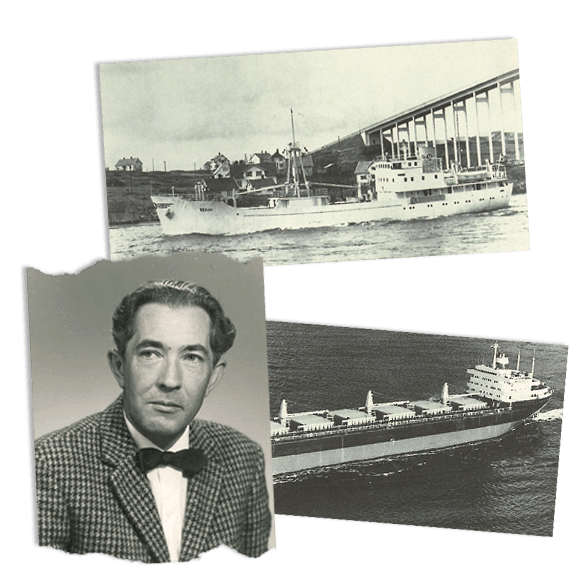 Øivind W. Aanensen was instrumental in turning around the local shipyard HMV in Haugesund (now Aibel), ordering a series at the yard on behalf of various owners, which led to 15 cargo ships being delivered between 1952 and 1966. Among other major contracts made during the 50’s, R.G. 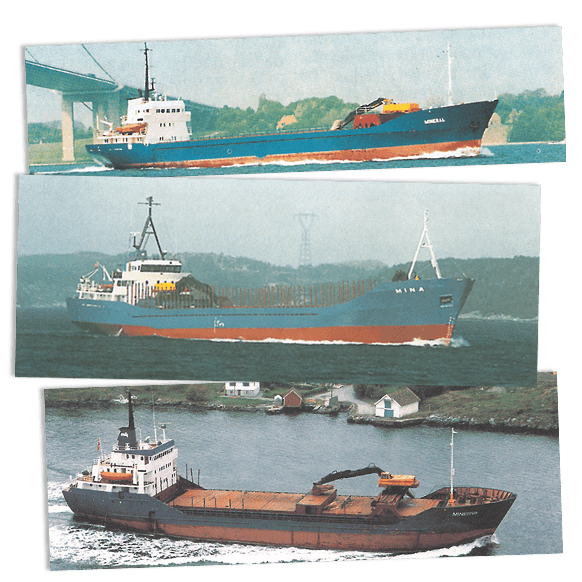 Hagland acted as broker when a number of local shipowners ordered a series of coaster vessels from yards in Germany, France and Spain. Hagland continues to serve Haugesund-based shipowners while also expanding its global network. During the 1960’s, R.G. Hagland continued to serve Haugesund-based shipowners while also expanding its own global network. Some of the trades R.G. Hagland was involved in during this period included trades in the Pacific, bringing timber from the coast of Canada to Australia, copper concentrate from Australia to Japan, grain from Canada to Russia, and other world-wide trades – even transportation of sheep from Stavanger to the Persian Gulf. At the same time, owners saw a decline in the transport of timber from Arkhangelsk to the UK and continental Europe. Haugesund owners had taken part in this trade for many years, originally becoming involved in the 1880’s when salted herring was shipped from Haugesund to Arkhangelsk. The Arkhangelsk trade had led to close contact between R.G. Hagland and Russian Sovfracht. Jens Østvik, Øivind W. Aanensen’s brother-in-law and shareholder since 1956, together with Sigfred Lavik, working for R.G. Hagland from 1922-1974 and shareholder from 1941-1965, were key persons in developing the relationship with the Russians. The close contact with Sovfracht would even spur R.G. Hagland doing chartering agreements with China National Chartering Corporation, bringing steel-coils and other goods from China to the US. Hagland acts as broker and co-investor in what would truly turn out to be a successful endeavor. R.G. 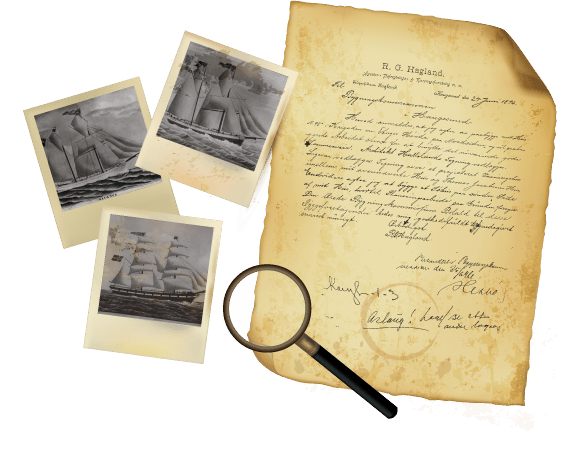 Hagland would often be contacted by ship masters and officers who wanted to buy their own ship, but often lacked capital and sometimes perhaps also the proper skills. 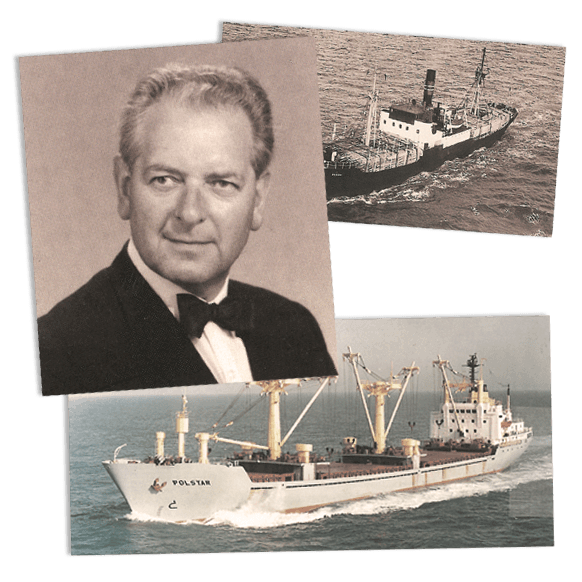 But one who would certainly prove his ability as a successful shipowner was Johannes Solstad. Starting with the acquisition of the 1939-built liner vessel “Prosper”, Solstad Rederi was established in August 1964. A total of 11 older liner vessels were acquired between 1964 and 1972, with R.G. Hagland acting as broker and sometimes also contributing capital along with other investors. Today, the company Solstad Offshore operates a fleet of some 50 offshore support vessels (AHTS, PSV, CSV), and has offices in Skudeneshavn, Aberdeen, Rio de Janeiro, Brazil and Perth. The oil crisis brings a severe downturn for international shipping – while Norway sees the beginning of its offshore oil industry. The period from 1974 to 1987 was a time of crisis for shipping markets, especially the tanker trade, but also for a lot of owners in liner shipping. This also led to difficulties for several Haugesund owners, such as Christian Haaland’s Concordia Line, Johan Amundsens Rederi, Kyvik, Knutsen OAS, and H.M. Wrangell. At the same time, however, the offshore oil industry was bringing optimism to Norway, after oil was found on the Norwegian continental shelf in December 1969. Platform supply vessels (PSV), anchor-handlers (AHTS), tugs and other vessels suited for the harsh conditions of the North Sea were ordered from shipyards. R.G. Hagland found a partner in the Dutch yard B.V. Scheepswerf Waterhuizen J. Pattje, and over the course of only 5 months ordered 18 vessels on behalf of a handful of owners, among them Solstad. An additional 3 vessels were ordered from other yards. Acting as broker for these newbuildings, and also a co-investor in some, Hagland can rightfully be considered among the pioneers of the Norwegian offshore industry. In 1983, Hagland acts as broker for its first chemical tanker, eyeing new opportunities. After being approached by Skipskonsulent AS, Hagland and Anders Utkilens Rederi ordered a new chemical tanker of 5,600 TDW for a cost of NOK 65 million. Hagland also took the job of raising equity from investors, which would turn out to be a highly profitable investment. The project not only proved the potential for Hagland to enter another new segment within shipping, the chemical tanker market, but also represented an early step in expanding into what is today Hagland Finans, offering accounting, business management and consulting. after the brig “Norden” was destroyed in Iceland. Hagland had in cooperation with a local captain been seeking the interest of local shipowners to invest in self-discharging bulk vessels. However, lacking sufficient interest from others, Hagland deemed it such an interesting business opportunity that it was decided to pursue it with a 24% equity share. After establishing Hagland Shipping the year before, the first vessel began operating in April 1984 – a 2,100 dwt vessel named “Mineral”. 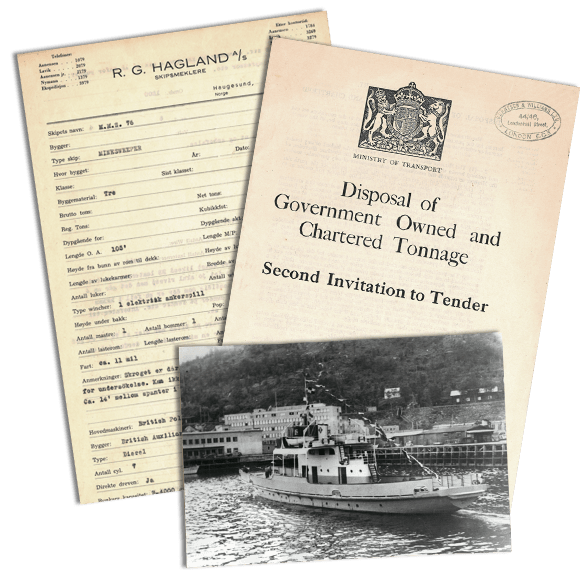 Hagland was responsible for chartering and accounting/administration. A second, similar vessel was acquired in November the same year, and given the name “Miranda”, and in 1986 another vessel, “Minerva”, joined the fleet. In 1987 a fourth vessel was added, “Mira Bulk”, which later changed name to “Mina”. Hagland's ship agency and clearance services expands when Kårstø gas terminal is established outside Haugesund. 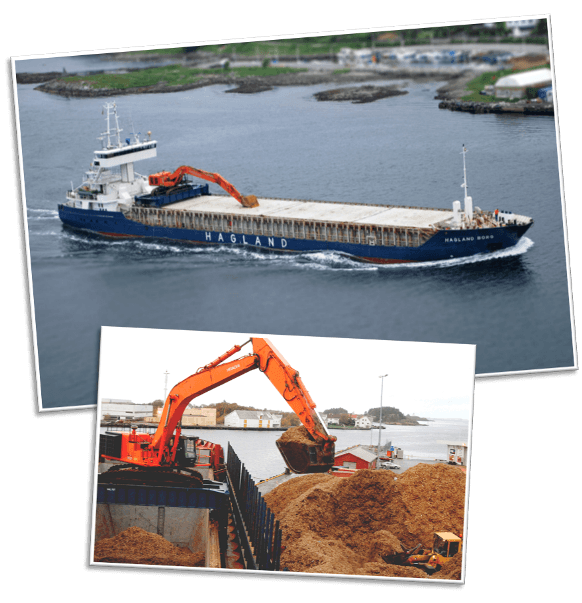 Since Hagland’s early days in 1872, visiting ships calling the Haugesund area, whether it be for loading, discharging, maintenance or repairs, would always require the services of a local ship agent. Over the years, Hagland had serviced liner operators, fishing vessels, merchant vessels, cargo vessels, newbuild deliveries from local yards, and drilling rigs at HMV (now Aibel) and Westcon. 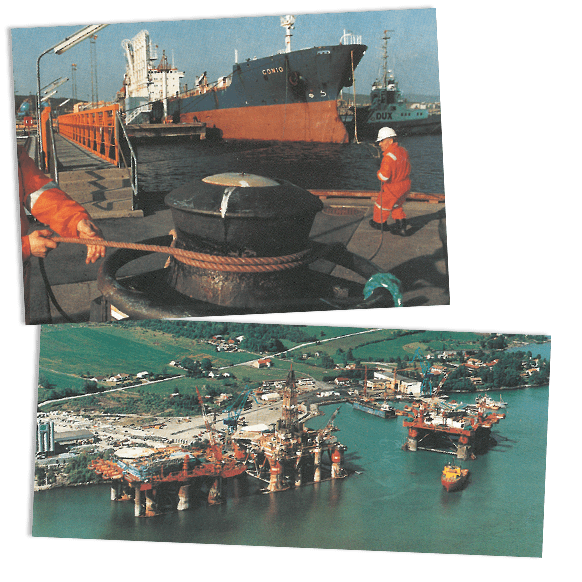 In 1985, Statoil needed a ship agent to handle the vessels calling the new gas terminal at Kårstø, leading to Hagland Agency being set up as a new subsidiary dedicated to handle this particular request. Hagland Shipping active in other markets. 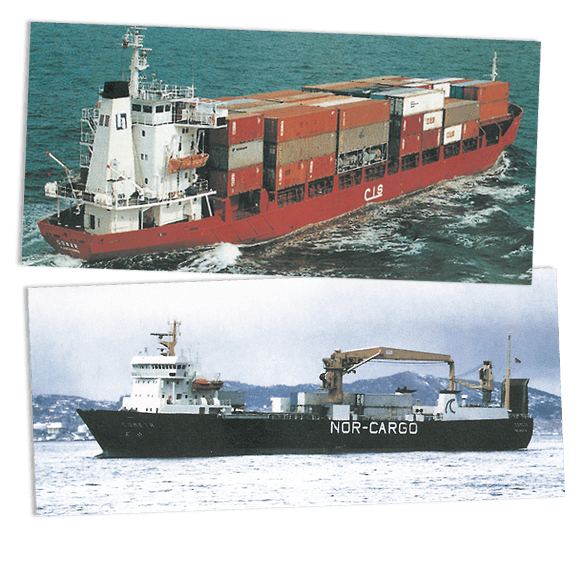 Hagland had been involved as broker in several sale and purchase transactions of container feeder vessels in the late 80’s, of which many in the form of sale/leasebacks. In 1989, the “Donar” of 298 TEU was purchased by a local partnership with Hagland Shipping as manager. The vessel was initially on a 2-year charter contract with a German-Israeli company, and was finally sold in 1993. 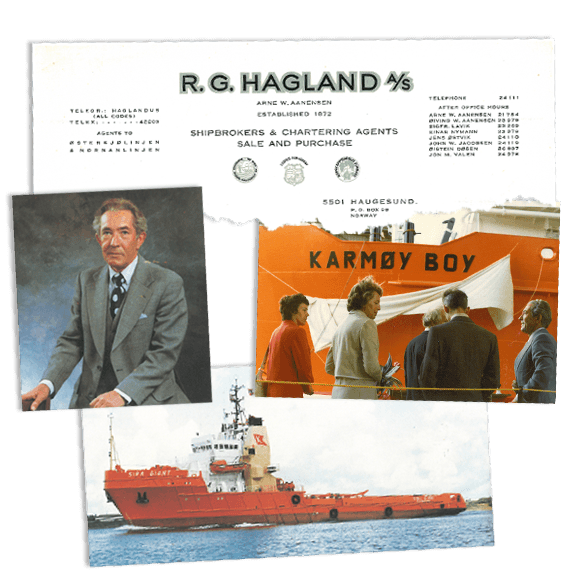 During the same period, Hagland also conducted several sale/leasebacks for Nor-Cargo, one such deal involving Hagland Shipping becoming manager and owner of the ro-ro/pallet carrier “Cometa”. The vessel was owned and operated by Hagland from 1990 until 1996. Hagland gets into real estate as they're searching for new offices. In need of new offices to house their expanding business, Hagland together with Østensjø bought the site which since 1991 has housed both companies’ offices. Hagland had naturally relocated several times since the beginning in 1872, but always within close proximity to the quayside at Smedasundet. Hagland had been involved in its first significant real estate investment a few years earlier, being part of a group of local investors acquiring the site of what is today Amanda Hotel. Originally intended to be the site of a new office building, which also Hagland had envisioned moving into, plans were soon changed when hotel chain Home Hotel made a handsome offer to buy the property. Real estate investment continued in 1995 when Hagland bought the neighbouring building to its offices in Sjøfartsbygget, and not long after additional properties in central Haugesund. Storm & Bull Shipping becomes a subsidiary of Hagland. Hagland had already since 1981 been in a partner agreement with Storm & Bull Ltd., Oslo. The company was agent to a number of international ship repair contractors and yards, marketing their services to Norwegian shipowners. While the Oslo company was responsible for marketing towards shipowners in eastern and southern parts of Norway, Hagland would focus on west coast owners. 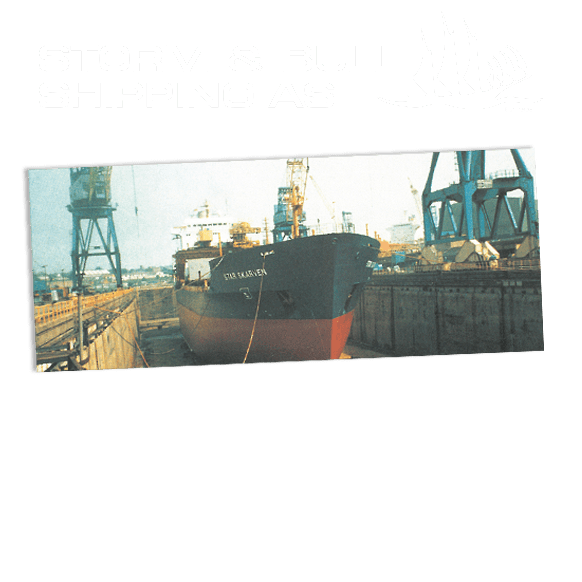 In 1998, Storm & Bull Shipping became a wholly-owned subsidiary of Hagland, continuing under its original name. Fleet renewal and expansion for Hagland Shipping. In 2007, Hagland Shipping was both expanding and renewing its fleet, adding four sister vessels of about 3,700 mt dwt. “Hagland Bona“, built 1997, and “Hagland Borg“, built 1996 were the first two, both of which were acquired by Hagland. Later the same year “Hagland Boss”, built 1997, would follow. In addition, the “Falkland“, built 1986 and owned by Karmøy-based Falkeid Shipping, was chartered in to Hagland Shipping. With these additions, the Hagland fleet grew to nine self-discharging mini-bulkers. in both accounting services and shipping. 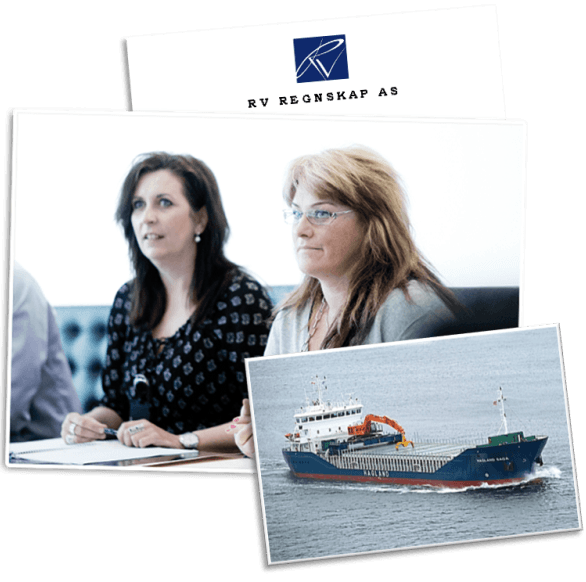 In 2011, Hagland Finans expanded their client portfolio and was happy to welcome new colleagues after acquiring local accounting firm RV Regnskap. The acquisition made Hagland Finans one of the dominant accounting firms in the Haugesund region. Meanwhile, the Hagland fleet grew with “Hagland Saga” (ex. “Arklow River”) of about 4,200 dwt and built 2003. With this addition, combined with disposal of older vessels, Hagland Shipping operated a fleet of eight ships. Delivery of newbuilds and expansion of offices. For the first time in more than 100 years, Hagland Shipping would take delivery of newbuilds, two 4,750 dwt bulk-carriers built at Chowgule & Co. Private Ltd. in Goa, India. “Hagland Captain” and “Hagland Chief” are owned in Netherlands and will initially be operated under Dutch flag by the J.R. Shipping group in Harlingen, and are on time-charter to Hagland Shipping. Hagland also has the right to acquire the vessels in 2015. The two ships represent a total investment of about NOK 140 million (about EUR 18 million) after being modified to self-dischargers. 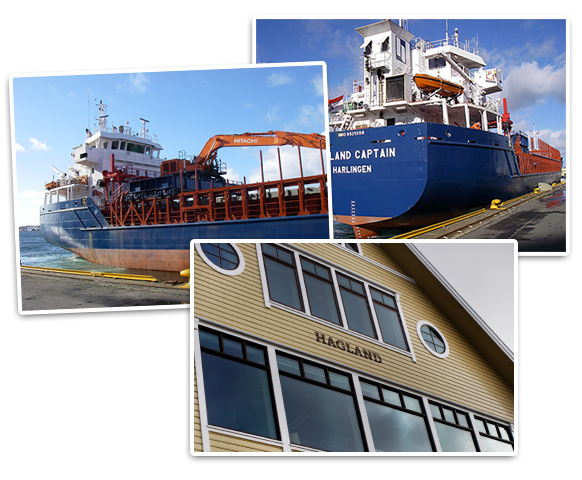 With these additions to the fleet, Hagland Shipping operates a fleet of 11 vessels. Also in 2012, Hagland significantly expands their offices together with Østensjø, joining three adjacent buildings with the existing office building, and restoring the seafront facades to their original style that is typical of Smedasundet and Haugesund.